After leaving the train in Green River Thomas Moran would go on to join the Hayden Geological Survey of Yellowstone 1871, the expedition would present a moment of destiny, both for the artist and for the United States. In the wake of a civil war that had ravaged a country still defining itself, attention turned to the unchartered frontiers at the edge of it’s expanding horizons. Many periodicals fed a voracious appetite for features detailing the mysterious natural phenomena. Some brought tantalising tales of a Landscape which visually seemed to embody the imagined heaven and hell lodged firmly within the European subconscious. The region was also home to indigenous peoples. Moran would go on to leave a number of clues in his paintings, which point to a sensitivity and degree of foreboding at this clash of cultures. It was with such notions in mind that explorers set out. Scientists would be able to explain the wondrous quirks of nature, with the earth gradually revealing it’s secrets to extensive mapping. Artists were also invited but they were encouraged to feed the collective fascination with sublime heightened visions of pure wilderness. How different will my experience be? 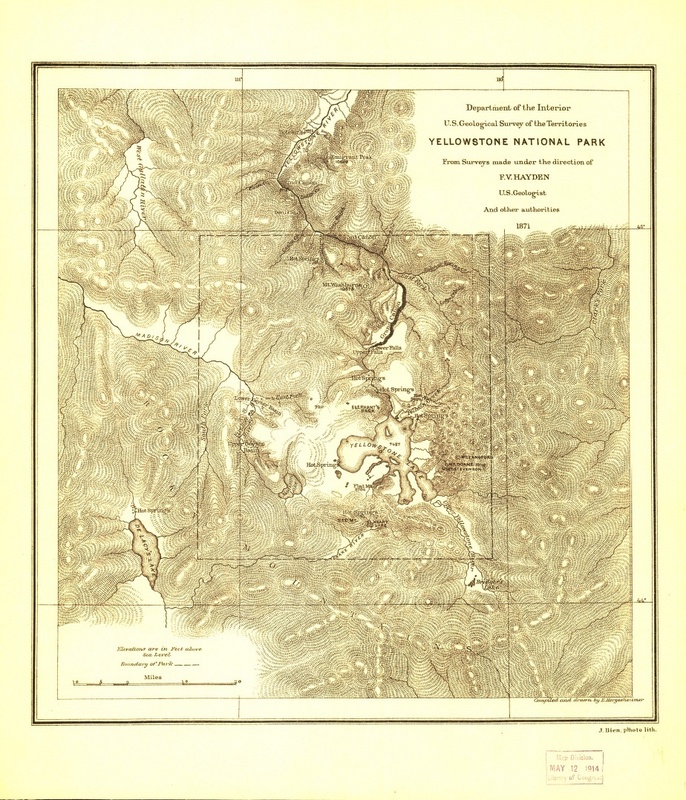 The Hayden Expedition and Moran’s Paintings were in large part responsible for Yellowstone being declared the first National Park in the world, in turn making it one of the most popular tourist destinations in North America. So it’s safe to assume there are a few more roads and more people now. There’ll be car parks, camp sites, viewing platforms, all the necessary additions to any area that demands a delicate balance between public access and protection. I’ve seen film footage and pictures of the region, I’ve seen Moran’s paintings. I can’t help but have more a sense of what is waiting to be discovered than he did. 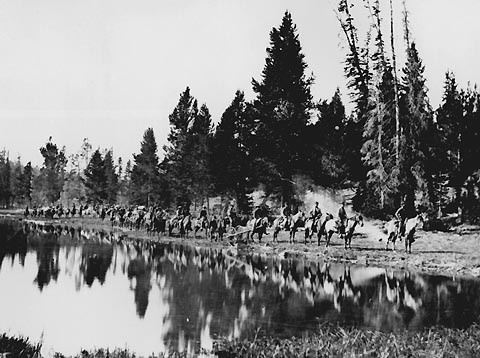 Having said that all that these examples are others people’s ideas of what makes Yellowstone special, what they decide to capture of the Grand Tetons. I want to find my own vision. The actual experience of standing in the landscape, that moment, being there, will be new and unique to me in my life. A New World.